Large volume, easy to use button controls, high level of performance and at the current price, the Sharp R92STM offers fantastic value. None to mention - we really liked the R92STM. After a large combi microwave? 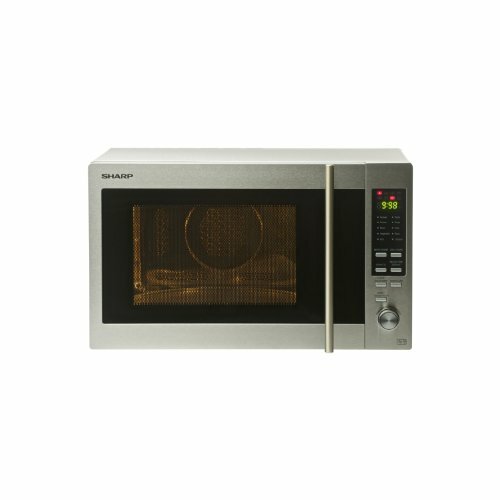 At 28 litres the Sharp R92STM certainly fits the bill, providing 900w of power when in microwave mode, 100w in grill mode and 2500w when the oven is in use. The temperature range of the convection oven is from a low 140c to a peak of 230c, which will be ideal for the majority of meals and recipes. The interior, as the overall volume suggests, is very spacious, with a 31.5cm turntable fitted which should accommodate the vast majority of large dishes and plates. The overall build quality is very good, with a brushed stainless steel finish which looks smart, hides fingerprints and should prove to be durable during use. The buttons situated to the right hand side of the left hinged door are well labelled, as well as being intuitive to operate. None of our testers experienced any issues whilst experimenting with the various modes - and should you have any queries, the booklet provided is clear and easy to understand. In use, our testers were very impressed with the Sharp R92STM for a number of reasons. The modern design is fairly subtle, yet will suit the majority of kitchen decors. Similarly the controls were simple to use, and made operating the microwave an easy affair, whether in microwave, grill or oven mode. Thirdly, the overall performance of the R92STM was very high - which was a pleasant surprise considering the relatively low RRP of this model when compared to the prices of it's competitors. 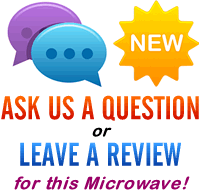 We tested this combination microwave over a period of weeks, with our testers using it as their main microwave for a week each, and all were positive with their feedback. It's large enough to fit all of the microwave dishes we tried, and cooked evenly. Cleaning the interior was a simple affair, and after a quick wipe it looks as good as new. If you're after a solid spacious combi microwave then the Sharp R92STM is well worth taking a closer look at. It features a generous capacity, is easy to operate, and works really well too. The design is modern, and the construction is of a high standard; Overall our testers were very complimentary of the R92STM - we would certainly recommend it to our readers. direct start cooking for 30 seconds.